The Aimrite Vermilion 5mm Spearfishing Wetsuit is another step of unbridled innovation that Aimrite are known for, not just in Australia but in the worldwide spearo community. Constant evolution is no easy feat but Aimrite's extensive network of testers, including the dudes that run the company, have helped Aimrite perfect the Vermilion. 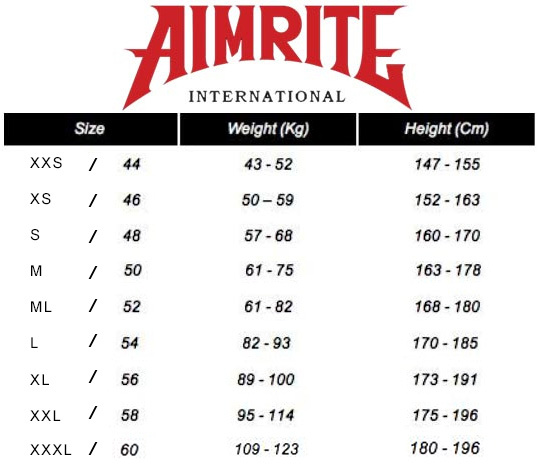 Aimrite's Vermilion wetties are built with Yamamoto's 39 neoprene which is generally considered to be the best neoprene for the unique requirements of spearfishing - lots of depth change, compression resistance and flexibility. The internal lining has been removed to create a better seal between your skin and the wetsuit, this is commonly referred to as an Open Cell Lining and is the warmest possible lining. The warmth factor results from suction created by the un-lined neoprene - neoprene is full of little air bubbles so when the neoprene is cut the bubbles on the surface turn into little suckers, like on a squid's tentacle. Better get out the butter cuz you're gonna be toasty and it'll help you slip by the tacky open-lining within the suit, although we don't recommend using butter to help you get into open-cell wetsuits, for that we suggest Wetsuit Slime. Aimrite's King Venom Camo is best of both worlds in that it's highly visible on the surface but invisible down below! The red end of the colour spectrum fades as you descend, this is because the red spectrum's wavelength is the slowest and is quickly refracted by salt water. This means that as you descend, the red parts of the suit fade, creating a very subtle grey-on-grey camouflage that is ideal for low-light stalking. The other advantage is that the suit is extremely visible on the surface thanks to the reflective red panelling and visibility strip on the hood. 5mm Yamamoto 39 High Density: The industry leading material for spearfishing wet suits as it's stretchy but won't compress with depth, rendering it useless down below. Open Cell internal lining: By removing the internal jersey you skin is directly in contact with the rubber, small bubbles in the rubber stick to your skin like squid suckers, creating the best seal therefore the least amount of cold water seepage. Two Piece: Two piece wetsuits are the bees knees! They allow the wearer to adjust the vertical fit (by moving the clips on the beaver tail) and because there is no zip, there is not a part on the wetsuit that can't stretch. Glued and Blind-stitched Seams: Using hooked needles this seam does not penetrate the rubber, meaning no pinholes therefore water can't get in! It is then reinforced with glue to increase seal and durability. Learn more about seams. Abrasion Resistant PU Panelling: The shiny red parts in the pictures [Knees, Elbows and Loading Pad] are a PU coated lining that greatly improves abrasion resistance when you're kneeling or chasing crays down holes. Built in Hood: 7mm hood will keep your dome toasty with the added bonus of a high-vis panel. Smooth skin has been laid around the hood to create a seal against the wearer's face. 7mm Chest Loading Pad: Giving you up to 12mm, or 17mm if your pants are high enough, worth of padding. The PU coat is tacky so you'll never have gun slip again. Reinforced Seams: Key high-strain seams have been reinforced with glue and a circular tape. Unisex Sizing﻿: The neoprene used in this suit can easily double it's size so the variations in gender based proportions are well within it's capabilities.